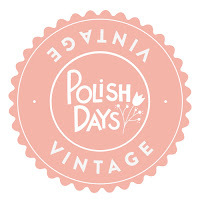 The theme for this month's Polish Days is "Vintage" - and what's more vintage than grandma's house! I guess every grandma is different, but my dad's mom lives in a country farmhouse that is chock-full of stuff straight out of 1952 (and older). She used to have a beige-ish quilt with pink roses on it, and that's what I used as my inspiration today! I gave it a matte finish... because it looks more vintage? I also tried a glossy top coat just for laughs. Base - OPI Did You Hear About Van Gough? Te gusta? I'm actually really happy with how they turned out!! If you're liking what you're seeing feel free to comment and/or follow me! All of my links are at the top right of the page. The Facebook page for this blog launched yesterday. It's still pretty rough-draft, but it's an even easier way to follow! 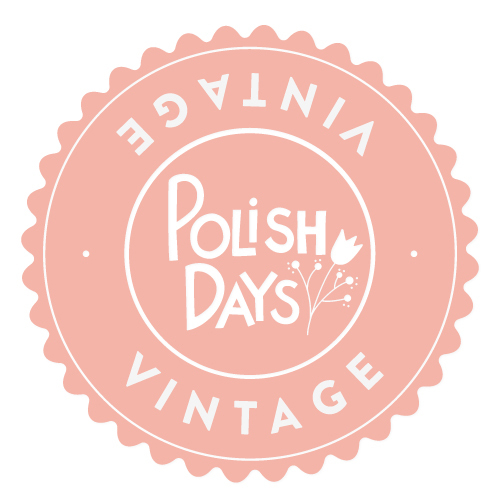 You should also check out the other Polish Days participants below! I am a huge sucker for vintage roses, and I think you did a fantastic job! I especially love the manicure with the matte finish! This is very pretty- I love vintage inspired roses and I always make mine mate too because they do look more vintage! I'm such a sucker for roses on your nails! and this turned out so pretty! Can you do a tutorial on how to do the roses? Yours are the best! I will try! This was my first attempt at this, so I'll recreate it and post it up soon! this is just sheer perfection. beautiful. These are absolutely lovely! So perfect, they almost look nail wraps! lovely! Love the color used for the flowers! Wow, your roses are absolutely stunning hun, I actually can't stop gazing at their perfection! Haha! And the matte effect is super nice!